Kovalam is a little beach town lying in the southern half of Thiruvananthapuram. The place manages to attract a large number of tourists year after year owing to its less commercialized beaches, clean waters, economical and luxury accommodation options besides friendly locals. The Lighthouse Beach boasts a strip of restaurants along the shoreline serving beer, mocktails, appetizers and main courses. They are also well-lit with Chinese lamps and often host live musicians. The beach can get a little crowded in the evenings with families and youngsters trying to take a dip or play catch. The Samudra Beach situated a couple of kilometers north also has a bunch of restaurants, resorts, and hotels where you can appreciate the quieter side of nature. Kovalam also lies quite close to picturesque spots such as Valiyathura (10 km away), Vellayani Lake (8 km away) Halcyon Castle (3 km away). 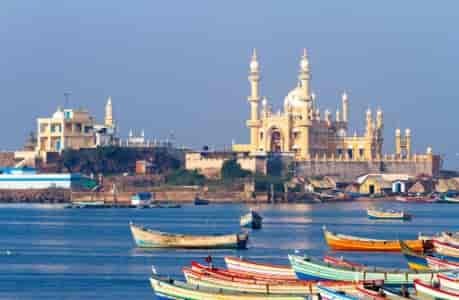 Best Time to Visit Kovalam - Due to its positioning on the coast, Kovalam has a reasonably pleasant weather throughout the year, though the best time to visit is between the months of November and February when it is less humid, temperatures are comparatively lower and the seas aren’t rough. Summer months that run from March to May are best avoided as outdoors can get blazing hot. During these months, the temperature often rises beyond 35°C and the general climate is characterized high levels of humidity. There are no specific winter months as such, but the place is a lot cooler between November and February (temperatures fall to around 18°C). The Monsoons often result in high tides and generally unsafe conditions at sea. Unless your idea is to enjoy watching rains lash down at the beach from the comfort of your hotel room/balcony, the monsoons wouldn’t seem like a traveler’s best bet. Since Kovalam has been a tourist haven for a long time, expect to find a number of good hotels in Thiruvananthapuram to choose from for hassle-free stays. Couple Friendly Hotels In Kovalam - Kovalam has always been a great spot for memorable beach holidays. A lot has progressed over the years, and now you can easily find hotels in Kovalam for unmarried couples. When you’re hunting for couple friendly hotels in Kovalam, Treebo is sure to come across as one of the top choices. Book your stay a couple-friendly Treebo property and comfortably explore the beaches and cafes at Kovalam with your partner! While scouting for hotels in Thiruvananthapuram, we’d recommend you to give one of our properties at Kovalam a try. Treebo properties are undoubtedly some of the best hotels in Kovalam. Based on your travel needs, choose between Acacia (single), Oak (standard), Maple (deluxe) and Mahogany (premium) based on their availability at the respective property. Our properties at Kovalam offer neat, well-furnished rooms that have air-conditioning and attached bathrooms with a water heater and Treebo-branded toiletries. The rooms also include LCD television with cable/DTH connection, ironing board, laundry facility, a beautiful balcony (certain rooms at certain properties) mini-fridge (certain rooms at certain properties), bathtub (certain rooms at certain properties) and room service. The assured essentials also include free Wi-Fi and complimentary breakfast. Both our properties at Kovalam, Treebo Moonlight and Treebo Hill Garden, have even got their own swimming pool where you can relax after a long day’s work. With Treebo, Kovalam hotel booking has never looked more convenient. 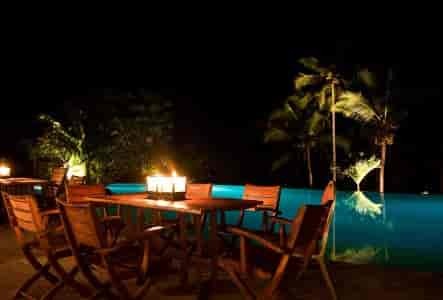 Best Places to Stay in Kovalam - When it comes to hotels in Kovalam, there are plenty of options to choose from. Luckily for tourists, most of the best places to stay in Kovalam also lie close to its popular landmarks. For those looking to unwind at the beach, Treebo Moonlight is one of the preferred choices. It is located a stone’s throw away from the tourist-favorite Hawa beach. Take an evening stroll along the beachline and treat your eyes to one of Kovalam’s magical sunsets. The beaches at Kovalam can get a little crowded on weekends (especially Sundays). Accordingly, you can choose to stay within walking distance to the beach or a couple of kilometers away. Events in Kovalam - Kovalam doesn’t have a dedicated calendar of events (like Goa) even though it is a beach destination. Some of the luxury hotels and resorts have their own set of party nights for Halloween, Christmas and New Year’s Eve. Kovalam, just like the rest of Kerala, celebrates festivals such as Onam, Vishu, Easter, Eid and Diwali. Region-specific celebrations include the Attukal Pongala, the Beemapally Uroos and the Aaraat at the Padmanabhaswamy temple in Thiruvananthapuram city. Kovalam is extremely welcoming to tourists and conducts guest-specific events on request. In order to cover a fair share of these events, ensure that your Kovalam hotel booking is done at the appropriate juncture on your holiday-calendar. Experiences in Kovalam - The beaches at Kovalam are home to a multitude of hotels and resorts, offering great avenues for swimming, watersports and soothing Ayurvedic massages. The artificial off-shore coral reef at Kovalam has aided in environmental recoup apart from serving as an excellent spot for surfing, scuba diving and other water-related adventure activities. The Padmanabhaswamy temple (considered the richest Hindu temple in the world) is located 11 km away and needs to be on your list of must-visits. Kuthira Malika (Mansion of Horses), a palace erected by Swathi Thirunal Rama Varma, and located close to the Padmanabhaswamy Temple, is a flawless example of dazzling Kerala architecture. Being a coastal town, seafood is integral to the menu at all Kovalam restaurants and cafes. Authentic South Indian breakfasts can also be found at a number of restaurants. 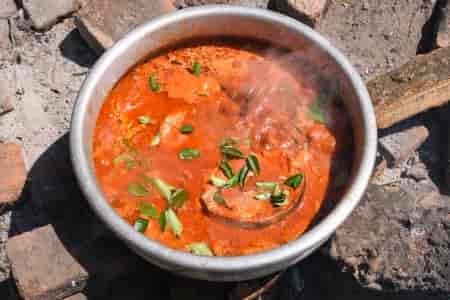 Local delights such as puttu (steamed rice cake) with kadala (peas) curry and kappa (tapioca) with meen (fish) curry are worth sampling. The Bait restaurant at Taj Vivanta is an excellent fine-dine choice by the beach. Go up the lighthouse for magnificent views of the coastline (the place shuts by 5 PM) or go souvenir-shopping at one of the many shops at the strip. When it comes to Kovalam hotels, Treebo always has an upper hand. Make Treebo your preferred choice for accommodation in Kovalam. Are there any Treebo properties available close to Vizhinjam? Going to visit Kovalam next weekend. Need good accommodation close to the Kovalam Light House. Headed for a quiet weekend to Kovalam and would like to stay close to Samudra Beach, I heard it is a quiet and peaceful beach. Can someone help me with hotels close to it that are not too expensive? Mention some of the places to see at Kovalam during our trip. Lighthouse Beach, Halcyon Castle, Vellayani Lake, Aazhimala Beach & Temple, and Marine Aquarium are some of the must-see places in Kovalam. As a photographer and ornithologist, I'm keen on visiting the Vizhinjam area in Kovalam to conduct a study on seabirds. Please help me out in finding good accommodation nearby. I am going to Kovalam for a vacation next month. Do you have any hotels where I can stay with my girlfriend? I'm planning a beach holiday with my wife at Kovalam. Are Treebo properties available close to Hawa Beach? I'm planning a little beach holiday at Kovalam with my family. Do you have suggestions when it comes to good accommodation? I'm planning a beach holiday with my friends at Kovalam. Can you suggest Treebo hotels near Light House Beach? Which one of your hotel is nearest to beach in kovalam?